My favorite part about working in social media is the personal aspect: Getting to know the people and faces behind every account. Indeed, the whole point of social media is to bring people together to share stories that build community. 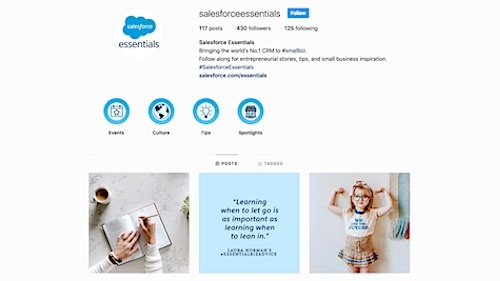 In my time as social media manager for the Essentials team at Salesforce, I’ve had the chance to get to know dozens of small businesses — companies made up of real people with real stories of hard work and dedication. Each small business is different — creative and original in its own way — and they’ve all taken various paths to get where they are today. Yet these companies have one thing in common: They want to help other small businesses succeed. That’s why we’re starting to share some of their stories with you. 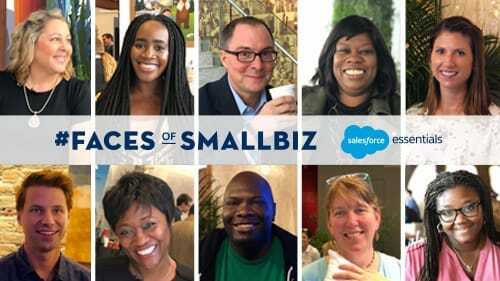 Follow us on Twitter, Instagram, and LinkedIn to see these #FacesOfSmallBiz stories. Get to know the people behind the companies. Listen to their advice, find out where they’ve been, and join them on their journeys. 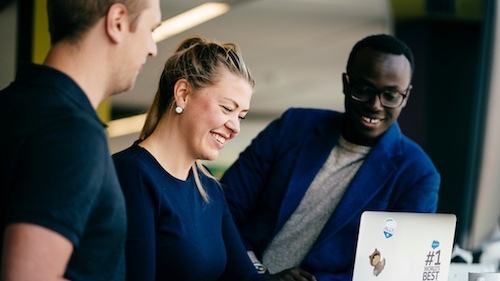 It’s not about selling CRM (although Salesforce Essentials is a fantastic way to automate and grow your small business!) — it’s about sharing tips, helping one another, and getting to know these exceptional #FacesOfSmallBiz. No business — small or large — has it easy. We hope to shine a light on the challenges of starting and running a company, yet also demonstrate the inherent satisfaction of pursuing one’s dream. Thinking about starting your own business? Take advice from this single mom. Got a great idea for a new product? So did this visionary. What’s it like running a one-man show? Take a page from this guy’s playbook. We hope you’ll join us and share your #FacesOfSmallBiz story, too.